The crucial element separating an exceptional career from a lackluster one is the ability to devise innovative solutions to work challenges. With research showing the direct relationship between ideas and profitability, creative thinking skills are vital to professional advancement. 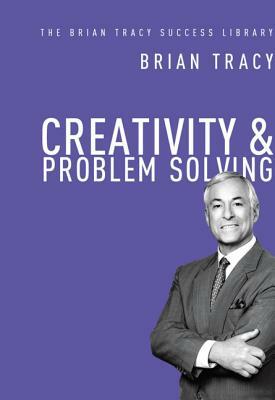 As one of the world's premiere success experts, Brian Tracy knows that creativity can be developed with practice and a few helpful tools. This concise book reveals 21 proven, practical techniques readers can use to immediately begin generating a stream of productive ideas, including how to: Stimulate the three primary triggers to creativity * Inspire a creative mindset in staff through recognition, rewards, and environment * Use methods such as Brainstorming, Zero-Based Thinking, Nominal Group Technique, and Lateral Thinking to solve problems, improve systems, devise new products, and come up with fresh, exciting marketing angles * Ask focused questions to generate elegant solutions * Understand the difference between mechanical and adaptive thinking * Rigorously evaluate new ideas . . .without shutting down the creative impulse Containing mind-stimulating exercises and down-to-earth strategies, this career-changing book helps anyone tap into the root source of their own intuitive genius.